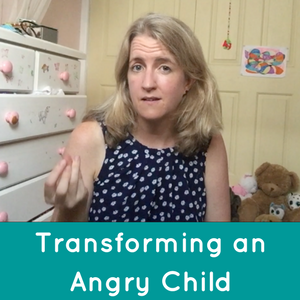 A little while ago I posted about how I was feeling resentful towards my kids during the summer holidays, and how I managed to turn that around. What happened after I sent the email & uploaded the video was amazing. My 8 year old had a MASSIVE anger ‘tantrum’ and then a huge cry in my arms. And after that – she was AMAZING! Genuinely calm, happy, helpful, loving towards her younger brother – a joy to be with. It had been a long time coming, and it was only when I was emotionally available & willing to really be with her, in all of her emotions, could she then release her anger & frustration. And, as ever, underneath all of her aggression was sadness – which I could hear, empathise with and give her the reassurance & understanding she had been desperately wanting. So the next time your child is being difficult, ‘lean in’ (to coin a Sheryl Sandberg term!) and allow this transformative process to unfold. If you’d like to find out more about how to be with your child in this way, I’d love to chat. I have a Special Consultation Package where we can go into more detail about the challenges you & your child are facing, and discuss strategies to help turn them around. Book 2 phone consultations with me by the end of February for just $150 and SAVE $50! And if you want to be notified when the next round of ANNOYING to AMAZING starts…..